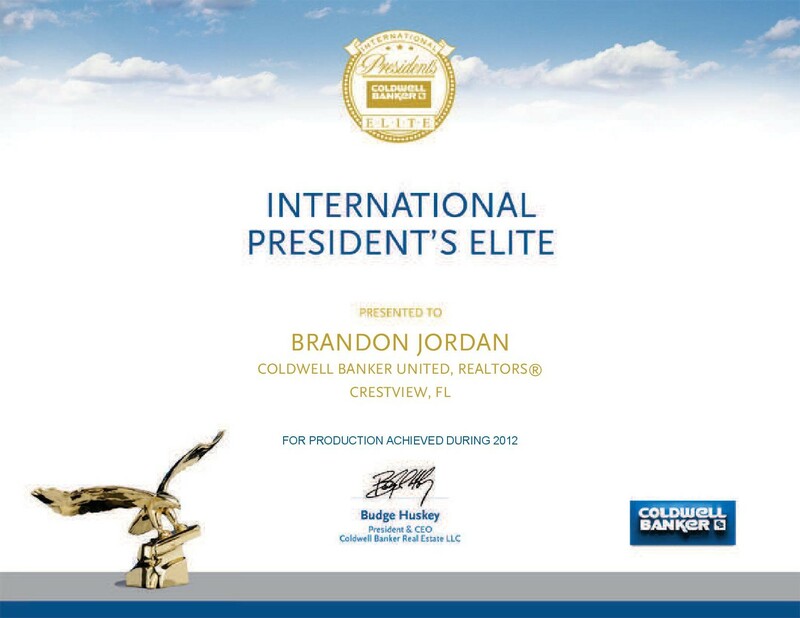 I had a previous post https://okaloosamls.wordpress.com/2012/02/20/1537 about 2011 year end awards and being a member of the Coldwell Banker group of 50/50 and I am happy to say for a second year with 2012 ending up with 70 plus listings and 70 plus sales for the year of 2012 I have won the presidents award pictured above. This entry was posted on December 28, 2013 at 9:37 pm and is filed under Blogroll, My Blog, OkaloosaFlorida.com blog, TeamSoldTV.com Blog. You can follow any responses to this entry through the RSS 2.0 feed. Responses are currently closed, but you can trackback from your own site.